My husband Alf is very attached to his Rohan Pilkington wide brim dynamic moisture control hat, so imagine his distress to have lost the said hat twice. The first hat adventure was whilst visiting friends in Sydney some years ago, when we went to see the new library building in Chatswood. We sat a while, read a little and had a cup of coffee. On returning to Willoughby a Sydney suburb where our friends lived, it was to discover Alf was minus his hat. No problem Pat my friend said it will be in the library. The next day we returned to Chatswood library and his hat was on the same chair with a note attached saying in bold letters "Is this your hat? It was left yesterday". This was the first retrieval. This year's hat adventure was also in Sydney, I guess back home in England it is not always hot enough to wear a Rohan Pilkington hat! This time we travelled from French's Forest to the centre of Sydney by bus. We got off the bus and Alf thought I had his hat. No I did not, and as he became aware of this he set off to run after the bus, two blocks later out of breath he did not catch up with the bus. Once again we returned to Pat who said confidently that someone would hand it in so she rang the bus depot to enquire. Sure enough the next day we were contacted by the bus company to say that they had his hat, so Alf and his hat were again reunited. This was in October 2015 and the story does not end there. 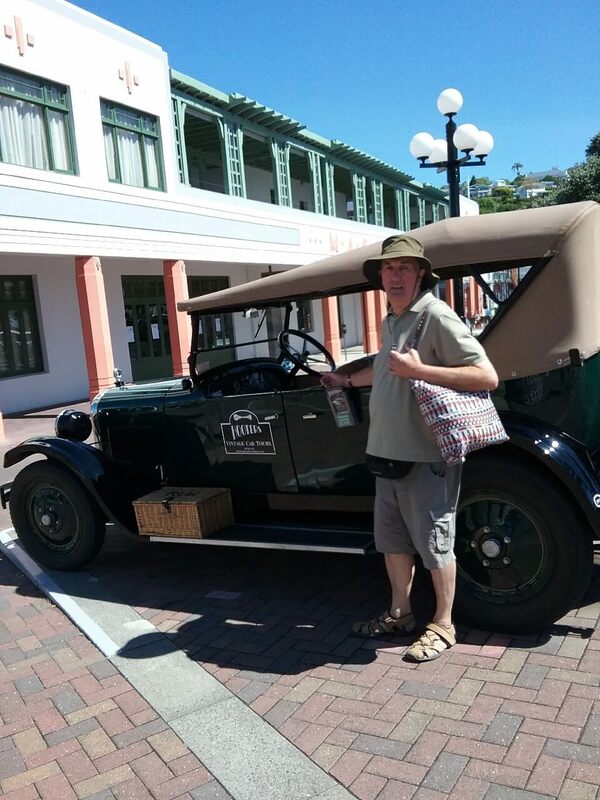 We are now travelling in New Zealand and the week after the Rugby World Cup match - New Zealand versus Australia game, Alf was frequently tooted and shouted at (gently and with humour) because his hat, yes the Rohan Pilkington looks like an Australian hat! We are still away and I hope Alf does not lose his favourite hat again!